Home > John Ernst Worrell Keely > Are Physical and Spiritual Energy Identical? "Whether science turns its glass out into the immensities of space, or in toward the equally fathomless abysses of the minute, there seems no bounds to the possibilities of discovery regarding the processes of nature. Yet each and every pathway leads at least to impenetrable mystery. What use to know of the ultimate molecule and atom, if we are never to learn what endows it with life. What is life? What is death? What is pain? What is color? Perfume? What is there in a minor chord to make one weep? Thousands of hungry eyes are peering into the dark in search of clues to these encircling mysteries. But a little rift has appeared in the veil, through which some think they can see a great and illuminating truth. This truth is called sympathetic vibration." A wonderfully beautiful article showing what sympathetic vibration is and how it is the motivative force behind all that there is from the low molecular realms to the highest spiritual aspirations. 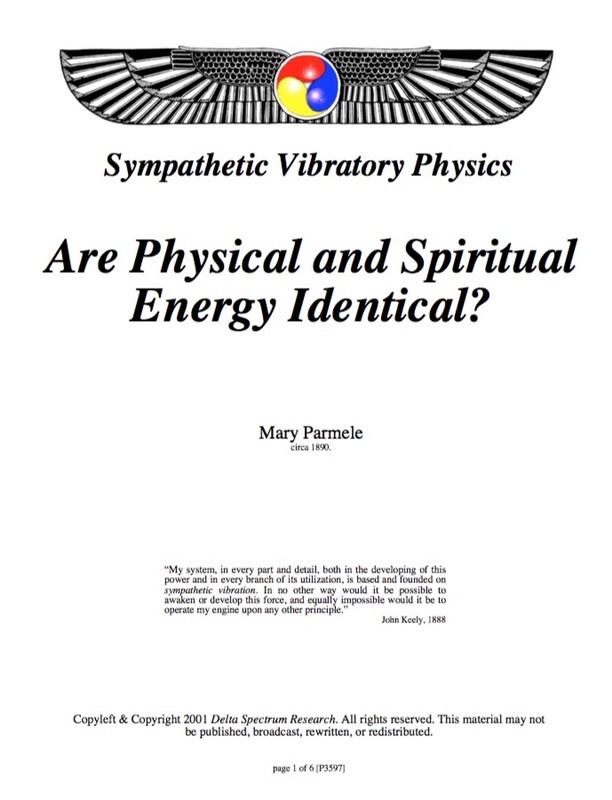 If you've ever wondered just what the law of sympathetic vibration is and does - then this is the pamphlet for you. Reprint of the original article. Circa 1890. 8.5" X 11"